Send Passover Gifts to IDF Soldiers! WATCH: US Embassy in Jerusalem Gets Ready for Passover! 19 Ways to Know it’s Passover in Israel! Good News Israel! Growing Avocado on the Gaza Border, Model Passover Seder for Foreign Diplomats, and More! NEW: Visit World Israel News today! 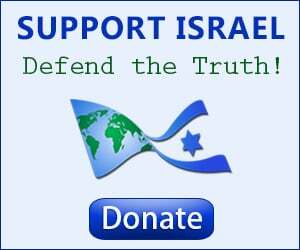 Get Today's Breaking Israel News !